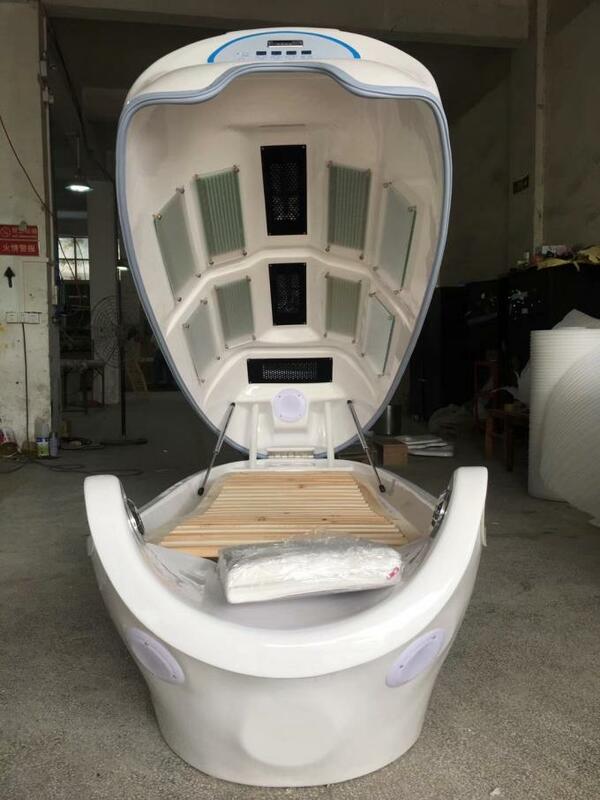 This is the perfect combination of colored light,fragrance medical therapy with electronic technology,traditional chinese philosophy and the essence of western science and technology.Being in this magic cabin,your heart and soul will be just like flying in the enormous universe,while improving the metabolism by the resonance massage of fat cells with infrared rays;or even immersed in the forest full of anions and vitality,remolding your skin thoroughly. 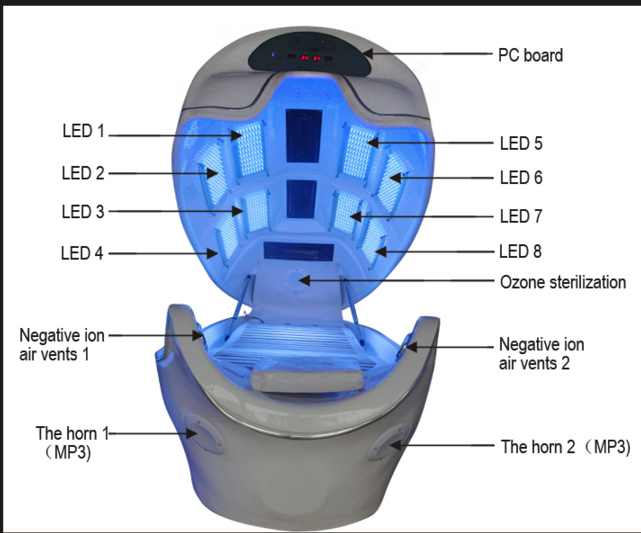 Infrared lights can act on the subcutaneous adipose, improve the combination of lipid and oxygen (burning excess fat and exporting liquefied lipid through sweat glands, 20-30 min radiation and pulse synchronization physiotherapy equals to consumption of 600 calorie, amounting to running for 10,000 meters. Temperature in Capsule can reach to 90°, which can accelerate lymph circulation, eliminate toxin and dropsy).proved by medicine, it has good effects in curing Arthritis and Rheumatism, etc. 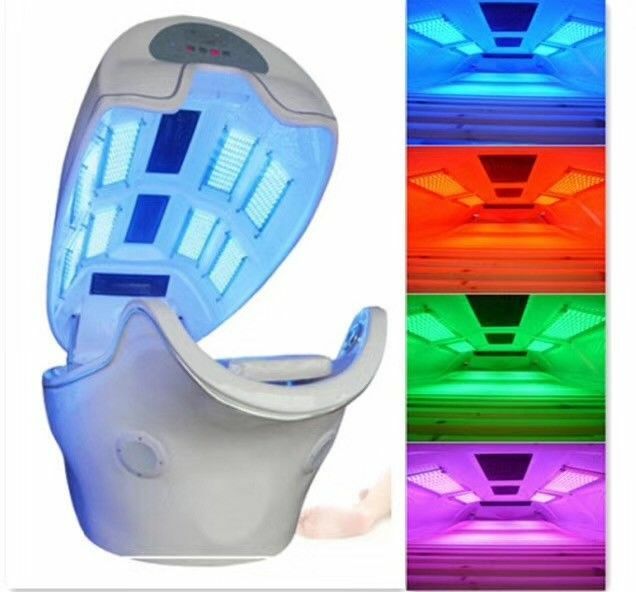 It uses specific light sources which can emanate colorful light to improve the metabolism and improve skin condition. It uses anion to improve the metabolism and improve skin flexibility and activate nerve and muscle tissue. Normally people who are in a sauna after an extended amount of time feel uncomfortable because the air is too hot to breath. This unit only covers the body and the head is exposed and the built in fan provides an ionic cool refreshing breeze. Cool breeze is directly blown to your face to reduce its temperature, keeping your head in a cool and fresh environment at any time. 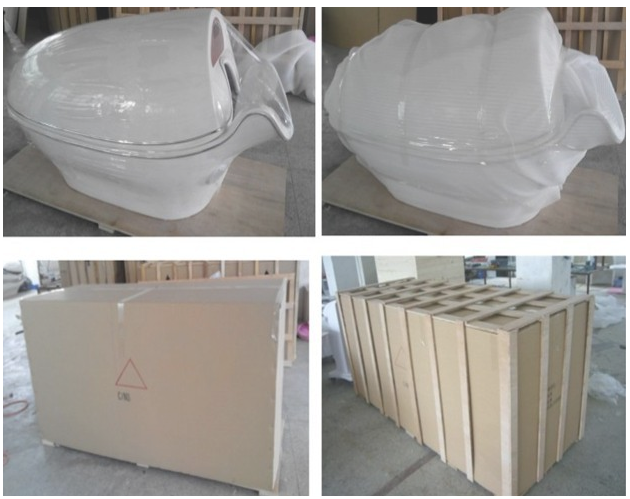 The full automatic ozone sterilization guarantees the uses safety and sanitation. Recommended use after every treatment.